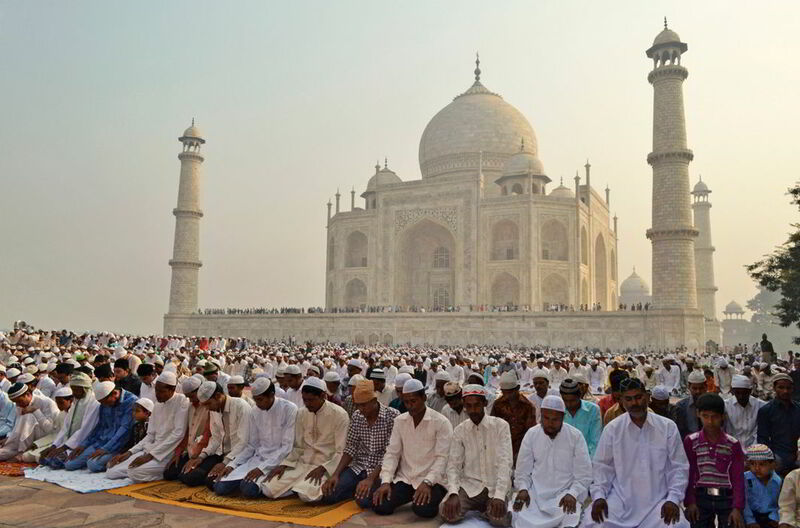 No Namaz at Taj Mahal mosque, prayers can be offered at other places: Supreme Court: The Supreme Court today dismissed a plea which challenges the Agra authority’s order to exclude the non-residents of the town from offering Friday prayers at a mosque in the Taj Mahal complex. A bench of Justices AK Sikri and Ashok Bhushan told to the various media regarding the matter that the Taj Mahal was one of the ‘seven wonders of the world’ and people can offer their prayers at this historical place as the end of the day, this is a mosque indeed. January 24, 2018, The petition has challenged, said that the order passed by the ADM (City) Agra which said that those who are not inhabitants of Agra, will not be permitted to enter the mosque situated at the Taj Mahal for offering customary prayers on Fridays and the decision is taken in prior to the security of people and this historical monument. Syed Ibrahim Hussain Zaidi, the Petitioner president of Taj Mahal Masjid Management Committee, Agra, informed the bench that several tourists visit Agra throughout the year and the order of ADM (Additional District Magistrate) (City), Agra prevented them from offering their prayers at the mosque inside the Taj Mahal was illegal and subjective.